In the final few days of our South African holiday we tried to fit in a few local sites we had yet to visit. These included Constantia Greenbelts, Silvermine and the Harold Pinter Botanical gardens. All were interesting but with limited time we felt our time could be best spent at other sites. There really is so much good bird watching to be had in and around the Cape that we barely scratched the surface. We highly recommend anyone visiting the area gets the ‘Essential Birding Western South Africa’ which we found invaluable and lists so many good sites. We frequently passed interesting birds while driving to and from sites that either we hadn’t seen on the trip or hadn’t managed to obtain decent photographs of. 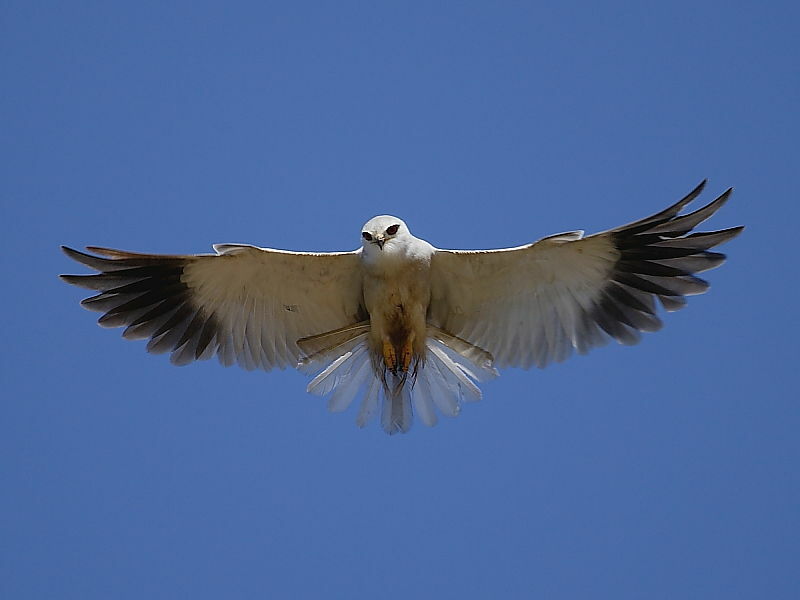 One evening when returning to the holiday apartment along the Cape Peninsula coastal road we passed this Black-shouldered Kite hovering over the grassy road verge just outside Fish Hoek. A real bonus this one. Having stopped for the Black-shouldered Kite we checked out a nearby reed fringed pond. Despite being too distant for a good photo we still had good views through the bins. While watching the Snipe feeding we noted several Reed Cormorants and a Pied Kingfisher perched on decaying branches overhanging the water. 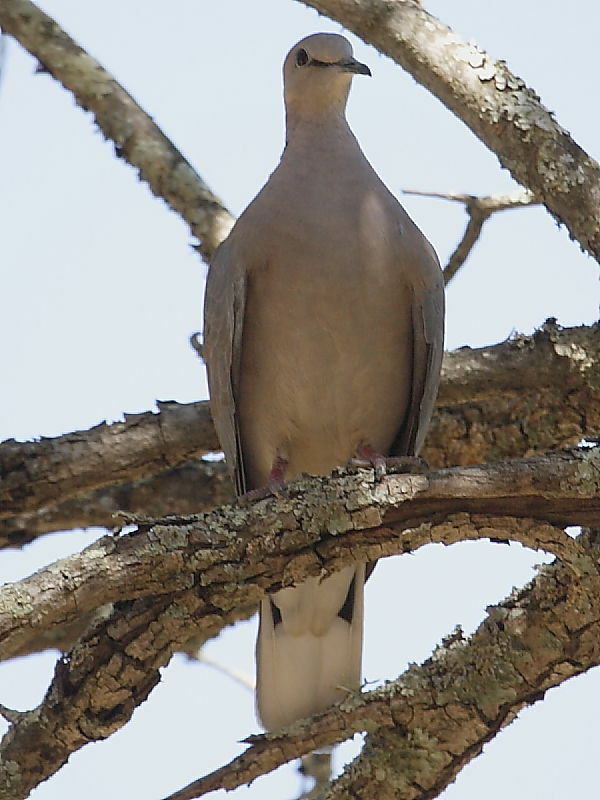 One of the most common doves we saw was the Cape Turtle Dove. We even saw one plucked out of the sky by a Peregrine Falcon over a coastal village we were passing through in the car. 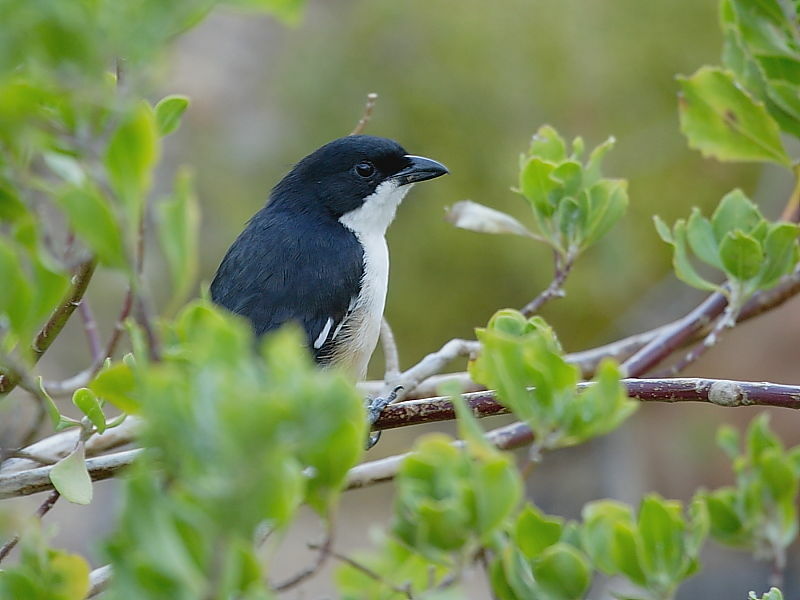 The endemic Southern Boubou appeared to be quite scarce despite being classified as a common resident to the south and eastern part of South Africa. This was probably because we didn’t spend enough time in the right habitat of dense woodland and ravines. The one Southern Boubou we did see was in the Harold Pinter Botanical Gardens . Here, after our epic encounter with a Cape Rock-jumper at Rooi Els, we’d spent a few minutes cooling down beside a crystal clear pool fed by a cascading waterfall . As we sat beside the water we had just a fleeting glance of a Southern Boubou peering at us through the leafy canopy. Over the last few days with limited time we dipped in and out of several sites. A brief visit to Silver Mine on the outskirts of Cape Town wasn’t sufficiently compelling for us to dally. We did walk down the forested valley in the hope of seeing a Krysna Warbler but again we didn’t waste time when there were so many other exotic looking creatures to see. This wasn’t by any means a twitch but we still recorded over 250 species of birds during leisurely visits to some of the most varied and stunning landscapes in South west Africa. 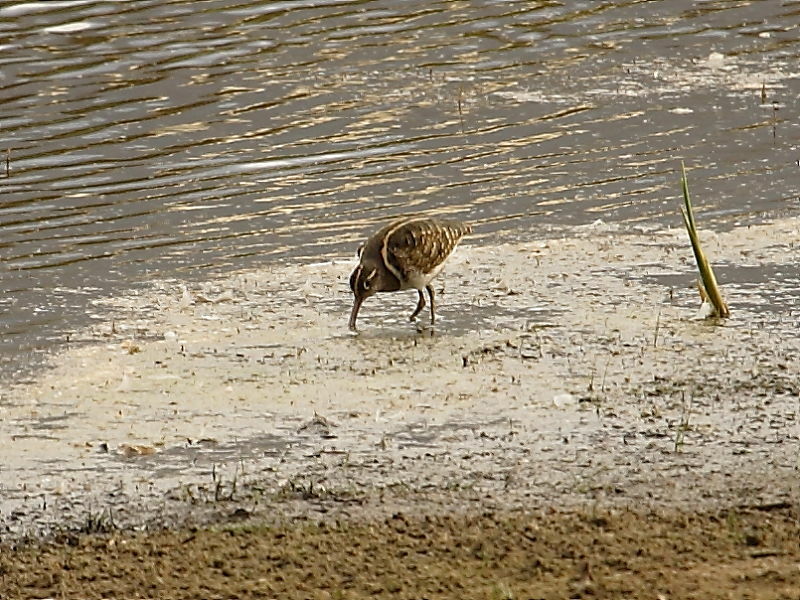 Photography takes so much longer than seeing – anyone content only on ticking would probably have seen well over 300 species. Other than birds we also had along the way a handful of butterflies, moths, lizards, tortoises, antelope, zebra, baboons, rock hyrax, seals, mongoose and, of course, that snake.